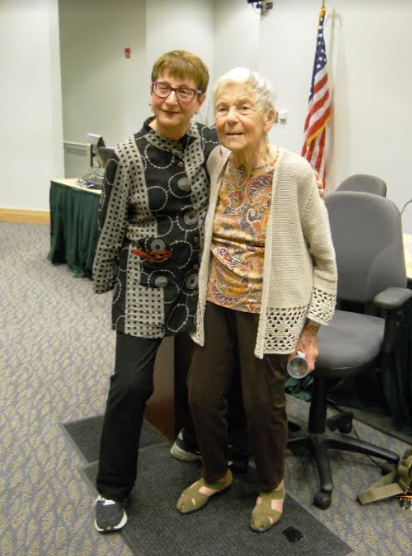 Suffern resident Trudy Album recalled living through the horror of the Holocaust last week at Rockland Community College during its Holocaust Commemoration Week. “Fortunately, there are survivors, and I think that was the reason I survived: to have a family, and to tell the world what was done,” she told a packed auditorium. 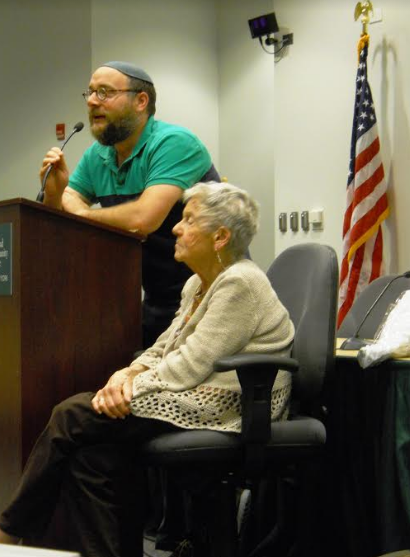 Born in Czechoslovakia (now Slovakia) in a town of about 1,110 people that included Jews, Protestants, Catholics and gypsies, “and I never experience any anti-Semitism growing up,” she said. Things were “getting closer and closer” to for then-10-year-old Album, her two younger sisters and their parents, citing Kristallnacht (“Night of Broken Glass”) in 1939. First she heard the regime was taking Jews from Czechoslovakia, so the family was elated to receive a postcard from her grandmother assuring them she was being taken care of and not to worry about her. 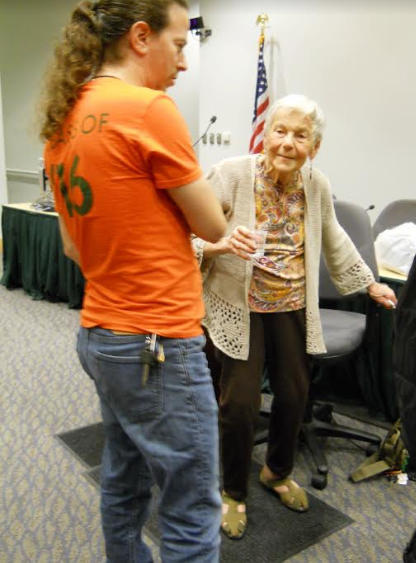 During the early part of 1942 and 1943, she said, a border was set up, and she was issued a gold star. “I wore it with pride because I was proud of who I am, and that’s how I was raised,” Album said. 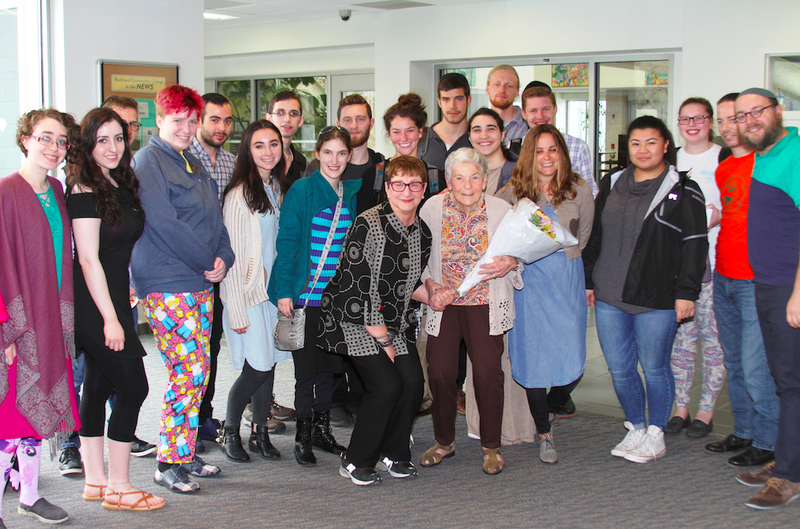 Spring of 1944 was the last holiday she spent with her family, after which they packed some clothes and furnishings and were taken to a nearby ghetto. She described an ambush by a faux Red Cross, during which people were lured off the trains by promise of warm food and clothing and then killed. “I don’t know why I didn’t get off the train, maybe I was too weak, maybe I was too far in the back,” she said. Liberated in 1945, Album came to the United States in 1946 and lived with her aunt and uncle and worked wherever she could find work. She worked at a sleep away camp that summer and the following fall learned English and went to night school, receiving and equivalency diploma.